* Update – July 2015: The scheme reported below has been named overall winner in something called the Urban Transport Design Awards. HACKNEY COUNCIL has moved further towards implementing its shared-street-space policy throughout the borough. 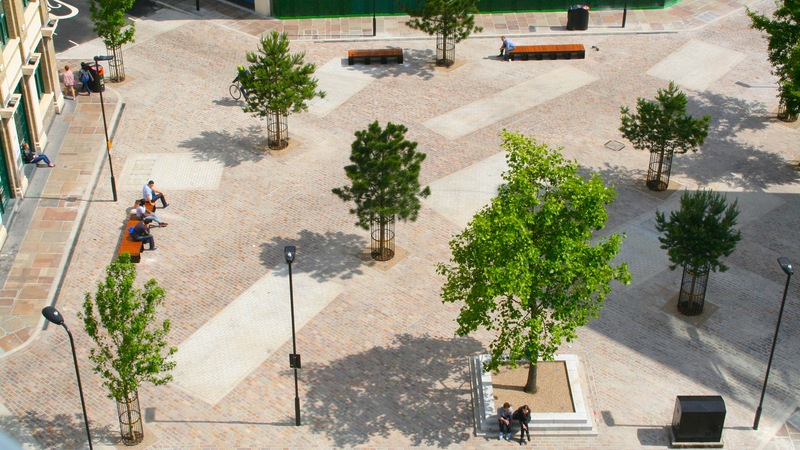 The council has reshaped Leonard Circus (Paul and Leonard streets junction) in Shoreditch, calling it “London’s most advanced shared street space… attractive, people-orientated…”. * kerbs have been removed and road markings and traffic signs minimised to de-prioritise vehicles. 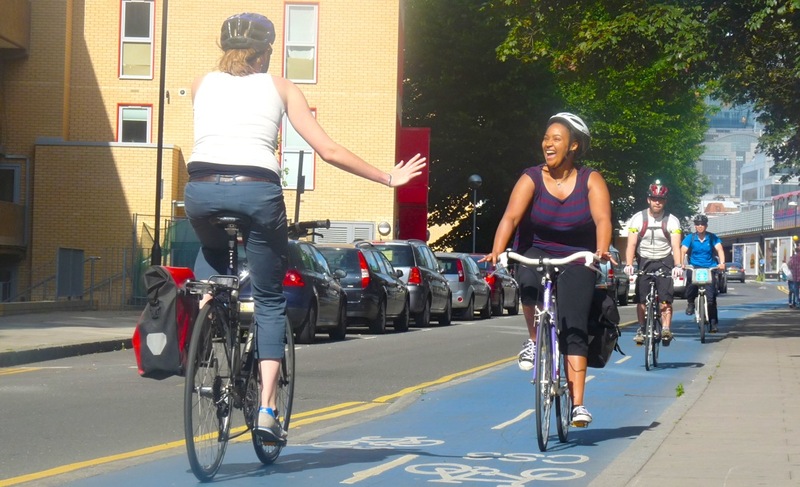 The idea of preferring to mix motorised and cycle traffic, rather than using segregated or even kerbed ways, as in other boroughs and more so on the Continent, fits with the ideas of London Cycling Campaign’s Hackney branch. The previous traffic scheme, now admitted to have been a failure, included the placing of a giant reel, pictured left. The council has dumped it in – sorry, relocated it to – Shoreditch Park when the reference of a film reel tcp northeast London-born Alfred Hitchcock turned out to be wrongly based. A survey of 4,500 Britons published this week by Halfords, a cycle retailer, has found that the prime demand is for more dedicated cycle routes. I think shared space is great for Dalston. We need to be a little more patient, I think, don’t you agree? Yes, and thank you for the URL. Patience is a virtue/Possess it if you can./Seldom in a woman/never in a man. – Ed. Thanks for pointing out that not everyone wholeheartedly welcomes these schemes. But more people (and more vulnerable people) walk rather than cycle or drive (combined) so why igore their needs (and force them to avoid the area)? Shared spaces are bad for pedestrians, particularly those with sensory impairments. And there are plenty of those …walking to and fro from the nearby Moorfields Eye Hospital. 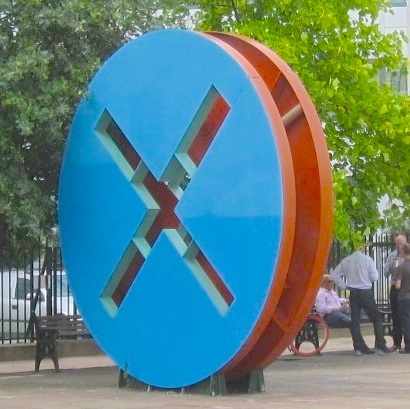 I always thought of the reel as a cross-head screw, a homage to Hackney’s regular road-layout screwups. Presumably, all this civil engineering going on in Shoreditch Park is so that we won’t notice when the 18-storey tower goes up soon at its northeastern corner.